Did you ever asked yourself how old so-called web 2.0 is ? When was web 2.0 born ? There are different answers to this question. I recently was invited to speak at the RIMC Conference in Iceland. I spoke about web 2.0 and how emerging and trendy technology is changing our way of interacting with friends and business acquaintances. While preparing my slides I looked back over my shoulder into my past when everything started and Internet Entrepreneurs were few and far apart. Those were the days of dial-up connections and 28.8 modems then upgraded to 56 K – WOW ! 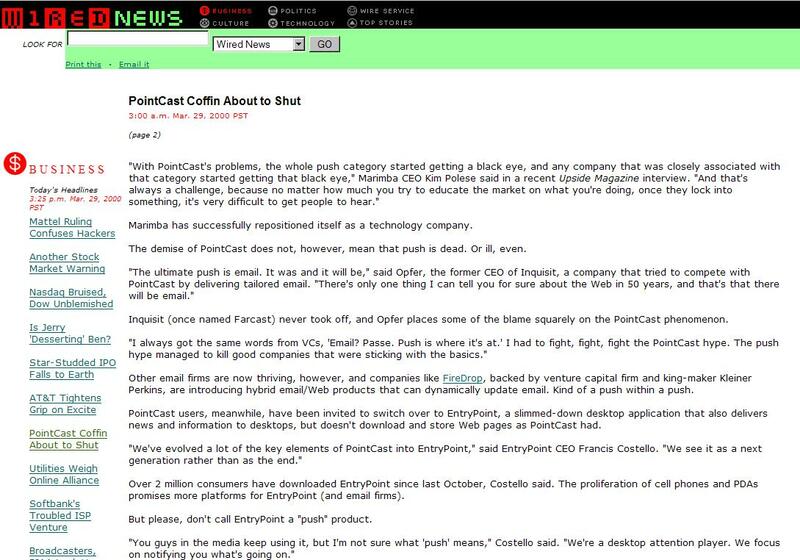 While I was the slides for the RIMC event my thoughts went back in time to a revolutionary application called pointcast. What is/was pointcast ? A revolutionary application that was suppose to change the way information was consumed by internet users: The user downloaded and installed software that would push selected (channeled) information to your desktop, providing up to date stories and theme related content. Pointcast was a revolutionary application – it was just too far ahead of times. Today pointcast-like applications are part of our everyday life: RSS provides us with up to date information. Is your staff prepared for the innovation ? How much is training and implementation going to cost you? What is the return on investment really going to be ? How long must you wait to see your return on investment ? How much will you save if you wait for the technology to mature and come down in price ? Have you considered the costs involved in the new development you wish to undertake ? What is your estimated time to market ? What is the estimated time to market of your competitors ? Which are your competitive advantages compared to your competitors ? Where is your added value ? Considerations that may have far reaching implications within organisations of all sizes and shapes. I've seen mistakes and misjudgements lead to failure after failure over the years. When you look back in time what do you see in this respect ? I'm curious to know ! !